Between Stefanos Tsitsipas, Danielle Collins and Petra Kvitova, quarterfinal Tuesday at the Aussie Open was nothing if not a day for fairy tales. In contrast, Wednesday is set to provide us with less of the unknown, and much more of the familiar. Possessing only one new face in Lucas Pouille amongst the eight featured players, today is all about the star power. 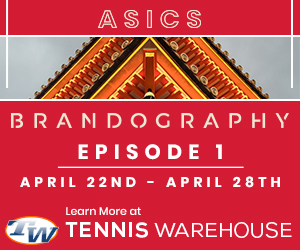 Whether it’s Serena or Nole, Raonic or Svitolina, you know who they are, you know what they can do – the only question is, can they do it right now? Read on for a look at each of Wednesday’s quarterfinal offerings. A match that is guaranteed to produce a first-time AO semi-finalist, a lot is riding on this one for Naomi Osaka and Elina Svitolina. An exceptionally even matchup, Svitolina leads the head-to-head 3-2, but hasn’t played Osaka since her ascendancy in the second-half of 2018, and whether the Ukrainian’s dogged defense will still be enough to frustrate her heavy-hitting opponent remains to be seen. That said, few players on tour are as good at handling pace as Svitolina is, and while Osaka is sure to dictate play from the baseline, the former’s ability to make her opponents always hit “one more ball” can break down even the most powerful of players – just ask Madison Keys. Perhaps more than anything though, how each handles the pressure of the quarterfinal stage might decide the outcome, but in any case, we should get some seriously enticing cat-and-mouse tennis. Fresh off the back of a three-set rollercoaster with Simona Halep, Serena Williams gets a very different, but equally tricky test in Karolina Pliskova. Splitting the head-to-head 2-1 Serena, with each taking a win apiece at the US Open (Pliskova 2016, Serena ’18), there’s reason for both players to have confidence, especially as while Serena’s win was obviously more recent, Pliskova comes in having just dominated another power baseliner in Garbine Muguruza. Still, you’d have to give Serena the edge given she can generate consistent power across all facets of her game, but if she remains as erratic as she did against Halep, and Pliskova can find the consistent depth on her forehand needed to set up her backhand, the upset is very much in play. In any case, you’re as likely to get a straight-sets win from either woman as you are a three-set barnburner – the only guarantee being that regardless, there will be plenty of winners. 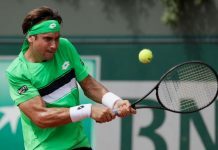 Two men who can each claim to have had the hardest run to the quarterfinals, is a showdown of games versus names when Lucas Pouille and Milos Raonic square off. 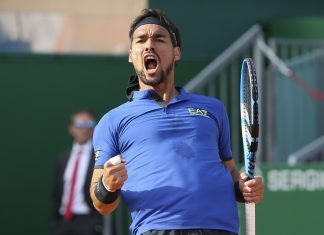 Having downed Nick Kyrgios, Stan Wawrinka, and Sascha Zverev en route, Raonic had about as much of a murderer’s row as a 15th seed can get to this point, while Pouille has need four-or-more sets in each of his last three matches. Unfortunately for the Frenchman, even with full fitness he has a bit of a hill to climb here, as he’s yet to record a win in three meetings with Raonic, and the powerful Canadian isn’t the type to let him construct points and work his way to net. Short of Raonic self-combusting, the only way Pouille is taking this match is if he can make a very high percentage of first serves and get consistently exceptional depth on returns, but that’s a big “if”, and the far more likely outcome is that Raonic rolls to his second career AO semi-final. 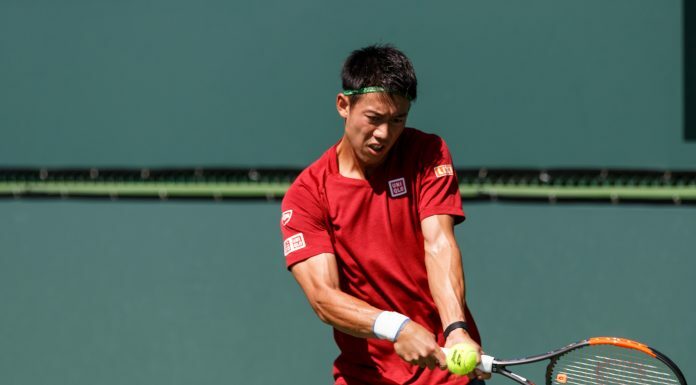 Having spent nearly 14 hours on court in his first four matches, it’s safe to say Kei Nishikori has been made to work this Aussie Open – unfortunately it’s about to get a whole lot harder here. Owning a 15-2 head-to-head advantage, Novak Djokovic might as well tattoo his name on Nishikori’s backside for how badly he owns him, and that doesn’t bode well for the Japanese’s chances. If there’s any positive for Nishikori, it’s that Djokovic has been far from convincing so far this tournament, and maybe if he can dictate direction, step in and crush the occasional backhand, and just generally play close to the lines the Serb might be vulnerable, but don’t bet on it. 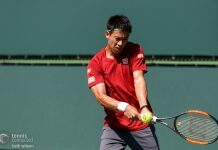 More likely is that Djokovic wears him out, but on the positive side, even if it’s a straightforward affair on the scoreboard, Nishikori should be able to force him into the occasional hard-fought rally that makes this a fun watching experience.